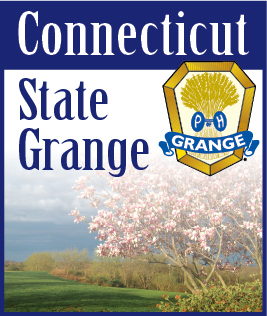 For many years Grange has supported farmland protection and restoration programs each legislative session. These programs are managed by the Department of Agriculture. In 2011, Governor Dannel Malloy created the Farmland Restoration Program (FLRP). This program dedicates $5 million to assist in land restoration of local farms by awarding grants of up to $20,000 per project. With the help of the FLRP grants, some towns have restored town owned sites and used the site to create community gardens. Long fallow plots of farms have been restored and are now producing vegetables. The Department of Agriculture has reported that, so far, 34 applicants have been granted more than $1.5 million. This program is helping create a number of new farms which have helped meet the rising demand for locally grown foods as well as creating jobs for the community. Most of the applicants for FLRP have been from full time farms with the rest being part-time farms, non-profits and municipalities. To obtain an FLRP grant, the applicant must submit a conservation plan or farmland preservation plan. The applicant must match at least half of the grant amount. They must identify the areas to be restored and cost associated with the work. Restoration activities can include reclamation of overgrown pastures, clearing of trees and invasive plants, fencing for keeping livestock in or keeping wildlife out, restoration of farm ponds and restoration of shellfish beds. The applications are prioritized with human food production being the highest priority. Livestock and livestock feed and support production is second with other agricultural uses also considered. Recipients range from small start-up farms to large farms that have been active for years. Grants have been given to farms to help pay for the cost of clearing brush, stumps and rocks and to build fences to keep deer out of gardens or fields. The town of Clinton is building a commercial kitchen and technical resource center for agricultural education. Other project recipients include the UConn Agricultural Extensive Service, 4-H and the Vo-Ag program for technical resources and education.